FFA - Heineken USA's last advertisement on Al Jazeera America will run Sunday, February 17, 2013. Heineken USA’s decision to stop advertising on Current TV or Al Jazeera America appears to be based on real concerns regarding the channel’s new ownership. 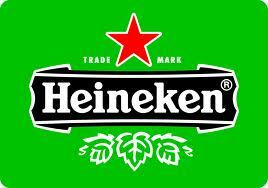 Heineken's last advertisement on Al Jazeera America will run Sunday, February 17, 2013. Florida Family Association sent out an email alert on January 14, 2013 which reported that Al Jazeera, the Arabic news television channel headquartered in the Middle East (Doha, Qatar), purchased the Current TV channel which has the potential of reaching millions of viewers in the United States. Al Jazeera America is the new, tentative name for Current TV. Al Jazeera is the mouthpiece for the Muslim Brotherhood and Arab Spring. The Muslim Brotherhood is the single largest promoter of the radical Islamist movement in the world. Nothing less should be expected to come from Al Jazeera’s access to cable viewers in America. The Florida Family Association office started contacting companies on January 16, 2013 that promoted their products on Al Jazeera America. The emails encourage companies “to put America first” by dropping their advertising. It also informs them that companies and their products that continue to advertise on this network after February 1, 2013 would be posted to an article at Floridafamily.org and numerous activist web sites that are concerned about Al Jazeera's access to American television. The email to advertisers further states that frequent or leading advertisers will be prominently displayed and repeatedly reported in future email alerts. Many companies including the largest advertiser, General Foods, stopped advertising on January 31, 2013. Heineken USA is one of the companies that the Florida Family Association office communicated with after January 31, 2013 regarding advertisements on Al Jazeera America. Heineken informed Florida Family Association on February 13, 2013 in the email below that the company's "contract with Current TV is structured to terminate upon sale to another entity. With that said, we have no plans to advertise on the new Al Jazeera America network." For further clarification… The last of our ads will run through this Sunday, 2/17. Current TV has been given instructions that we are no longer to be on air and to pull our commercials out of their system. Thank you for letting us know and especially for the position that you are taking. It is our understanding that Al Jazeera purchased Current TV officially the last week of December 2012. They own the channel now. The new owners are in the process of hiring and producing new shows. Jan 2, 2013 – Al Jazeera has acquired Current TV, the progressive cable news station co-founded by Al Gore. Thanks so much for your note. We appreciate your concern. HEINEKEN USA’s advertising contract with Current TV is structured to terminate upon sale to another entity. With that said, we have no plans to advertise on the new Al Jazeera America network. Some people may think that Heineken is pulling their advertising from Al Jazeera America because the beverage company thinks the Sharia minded channel won’t be interested in their alcoholic beverage sponsorship in the future anyway. However, an anti-alcoholic beverage advertising policy does not appear to be the case for the Islamist channel. Al Jazeera America recently started accepting advertising from Disaronno which is a hard alcoholic beverage. Florida Family Association’s opinion is that Heineken USA’s decision to stop advertising on Current TV or Al Jazeera America appears to be based on real concerns regarding the channel’s new ownership. If you would like to thank Heineken USA for their decision to stop advertising on Al Jazeera America their contact information is posted above in the company’s email to Florida Family Association. If you have not yet sent your email to Reckitt Benckiser, the top advertiser on Al Jazeera America, please click here to send today.